Loosely inspired by Clive Holt’s Fine Form ratings, Advance Ratings offers a simple interface to the best UK & Irish Horse Racing ratings available today. ● For the low price of £27 per month (plus VAT) or £67 a quarter (plus VAT), Advance Ratings are sent to our members at 6am the morning of the races. This allows you to get the early prices. 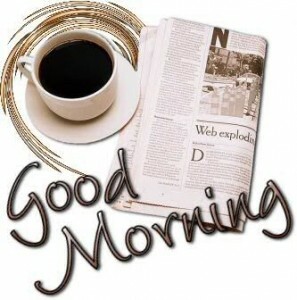 ● Every morning at 6am you will get an email showing the ratings and detailing the previous day’s results. ● The ratings are easy to use and we are always willing to answer any questions that you may have. ● Download our Sample Ratings! Try our Free Trial and test out the service for FREE before signing up. Just Click Here! Take a look at our System 1 results. 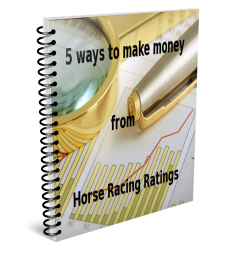 Based upon the 5 Easy Ways to Make Money from Horse Racing Ratings eBook (on the sidebar), System 1 is available to all members for free. Selections are sent to members at around 6am every morning – thus allowing them to get on the big prices. Our completely computerised analysis system selects the top three rated horses from each race and sends out a list of all selected horses at 6am the day of the races. Today is the last day of the trial. If you’ve seen enough to join Advance Ratings – I suggest you use the links on The Sales Page as there is a link (you will have to scroll down a bit) which gives you the first month at half price. 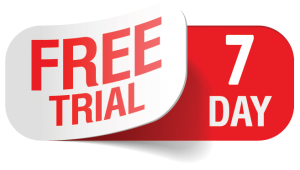 As there was no racing on Sunday, I have decided to extend the current free trial (that some people are on) until tomorrow. This was due to the abandoned meetings on Sunday. If a race is abandoned after the ratings have been produced then the ratings doesn’t know about it and, thus, those selections stay on the ratings. For those races/meetings I have to manually update the database to tell the ratings that those races/meetings have been abandoned. On Sunday, I forgot to do that. I can’t say that I was too disappointed with yesterday’s results. Once again, we did very well with the All Weather races with 10 of the 15 top rated winners coming from them. I am going to split this morning review into three sections and it seems only proper and correct that I start with Cheltenham. 14:50 – Our top rated horse came third. 16:50 – Nothing for this race. 17:30 – Our top rated horse came second. Well, an underwhelming day, yesterday. They happen from time to time. 13:30 – Nothing doing in this race. 14:50 – Our top rated horse, Un de Sceaux, came second. 15:30 – Our second rated horse came third. 16:10 – Our top rated horse was a non-runner. Hexham 13:45 – our third rated horse won this race @ 34.0 ISP (46.15 BSP.) Our tp rated horse came third. Hexham 14:25 – our top rated horse, Nelly la Rue, won this race @ 2.5 ISP (2.63 BSP.) Our second rated horse, Ceegem, fell and our third rated horse came second. Hexham 15:05 – We got the forecast in this race – it paid £5.95. We got 1.5 ISP for the winning horse. And another day where we got a 50% strike rate for our System Bets. 13:30 – Our top rated horse came second but I am a bit concerned that we didn’t spot Samcro. John (who is on the free trial) alerted me to this issue and I’ll look into it today. It could be down to the fact that all of Samcro’s form happened in Ireland. Whatever, I’ll identify why Samcro wasn’t top rated. 14:10 – Our top two rated horses came first and second – unfortunately, in the wrong order. The Reverse Forecast paid £10.85 to the £2 stake. 14:50 – Nothing doing in this race. 15:30 – Our top rated horse came second and our second rated horse came first. The Reverse Forecast paid £3.89 to £2 in stakes. 16:10 – Nothing doing in this race. 17:30 – Our second rated horse won at 26.0 ISP (29.0 BSP.) Our top rated horse came third. Huntingdon 14:25 – Our top rated horse came second and our second rating horse came first. The Reverse Forcast paid £17.06 to a £2 stake. Southwell (AW) 14:35 – Our top rated horse, Line House, won this race @ 2.625 ISP (2.76 BSP.) Our third rated horse came second. Well, it was a pretty exciting day for me, yesterday. Obviously, the recent bad weather had me a bit worried about Cheltenham but those worries turned out to be a bit groundless. 13:30 – In the first race of the festival we faced, for the first time in the history (albeit, a short history) of the ratings, a conundrum ; one that I knew would happen one day – I just didn’t anticipate that it would happen in, arguably, the greatest festival of the year. You see, in the 13:30 at Cheltenham, the top two rated horses had the same ADR (the actual ratings number.) When this happens, the code orders those two horses in forecast starting price order. Thus, Kalashnikov and Summerville Boy both had an ADR of 8.75. This is a very high rating and it was obvious that it would be one of these two horses that would win the race. However, the ratings made Kalashnikov as the top rated horse as it had a forecast starting price of 5.50 and Summerville Boy became the second rated horse as it had a forecast stating price of 8.0. Although the strike rate didn’t seem too good yesterday (there were 33 races – in one of them, the top rated horse was a non-runner) and we had 9 top rated winners. Thus our strike rate (for the top rated horse) was 28.125%. The prices of the winners! This time it was Exeter. Still we got some pretty good racing from the remaining 3 meetings. We were blindly profitable to ISP and our free system had a 100% strike rate and made a profit on stakes (to ISP) of 205%!!! I’m going to try to send you a little Morning Review when I can. It won’t be 7 days a week but I’ll do my best. There were 19 races yesterday; one of our top rated horses was a non-runner. From those 18 races, 8 of them were won by an Advance Ratings top rated horse. That equates to a strike rate of 44.44%. To ISP we had 19.025 points returned to 18 points staked. Thus, giving us a profit on stakes of 5.69%. Below is a screenshot of one race from the daily ratings. Every race has two lines to describe the race. The first line (in bold) shows the course the time of the race, the title of the race and the race prize. The next line shows more specific details about the race such as distance, number of runners and going. November 14, 2017 – Who was Clive Holt? 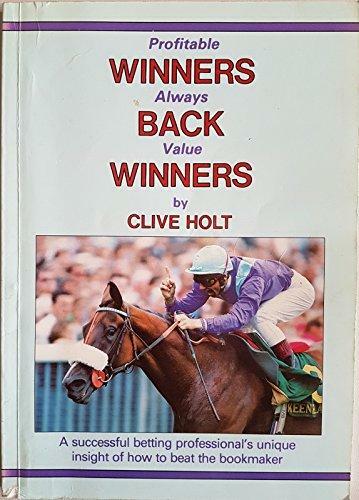 A rather haphazard gambler, Clive Holt is best know for the books that he wrote and, of course, his legendary ratings system, FineForm. 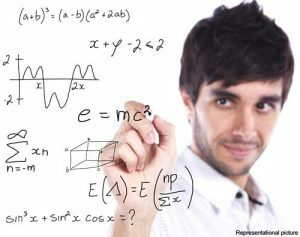 Before becoming a professional gambler, he worked at the Electricity Board in England. His father introduced him to gambling and Holt started going to race courses in the early 1960s. After a losing streak, Holt decided to start keeping better track of how he was doing. 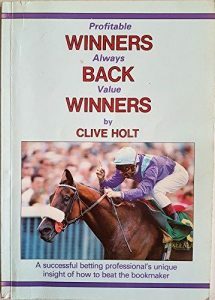 Read More about Who was Clive Holt? So, to create this extra layer I decided to start again from scratch loosely inspired by Clive Holt’s Fine Form strategy. November 14, 2017 – Why use Ratings? I am going to try to explain why horse racing ratings have a real place to pay in every punter’s arsenal and why you should be using ratings in addition to your normal horse selection process. 1). Filter out the non-contenders. With Advance Ratings, in 2016 50% of all winners came from the top three rated horses. And that was for all field sizes; imagine if you have a 17 horse handicap race and know that you can reduce it into a three horse race by just looking at the three real contenders. 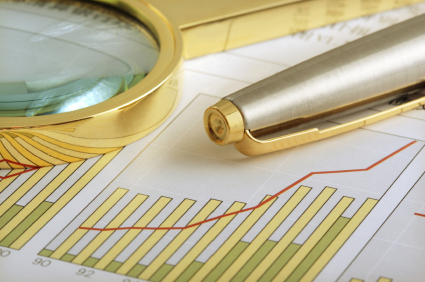 Read More about Why use Ratings?